Yes! I'm back into action in the lands of Azeroth. 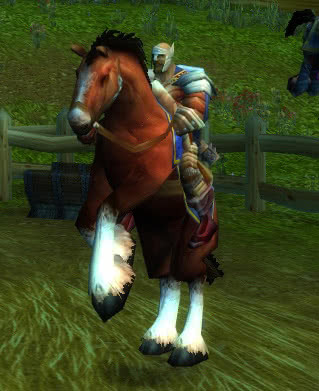 After some retirement and local working in a small, unknown village, I've decided that my life as a normal person isn't interesting, so I've picked-up my armor and my weapons, bought a horse, and I'm fighting evil creatures again. I'll write again here in this diary my journeys. Also... I've been told the Dark Portal has opened and that it goes to somewhere called The Outlands... I must get stronger to investigate this.